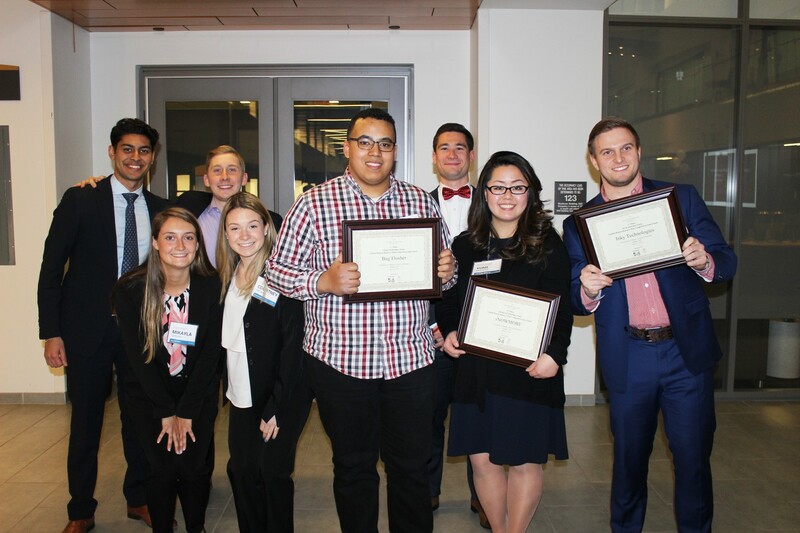 In short, students receive a lifetime's worth of business and entrepreneurship training in a fast-paced, accelerated experience. 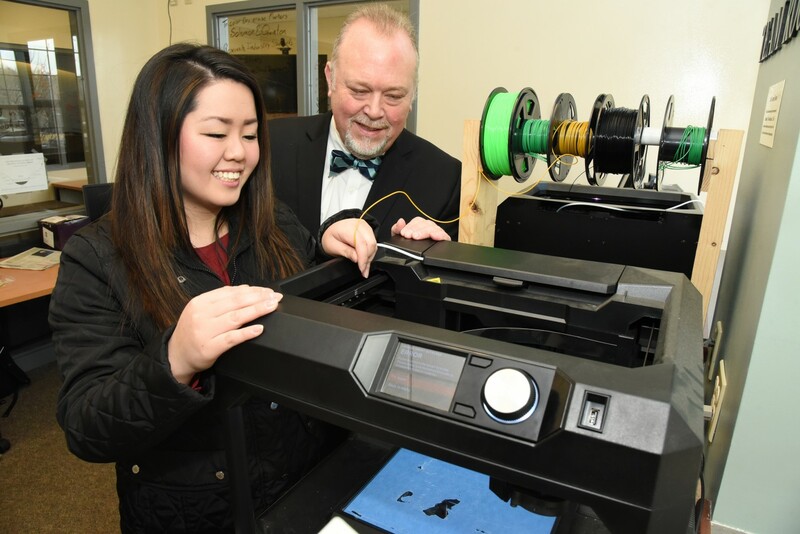 The Center engages more than 300 students annually all three schools: liberal arts, science and business. 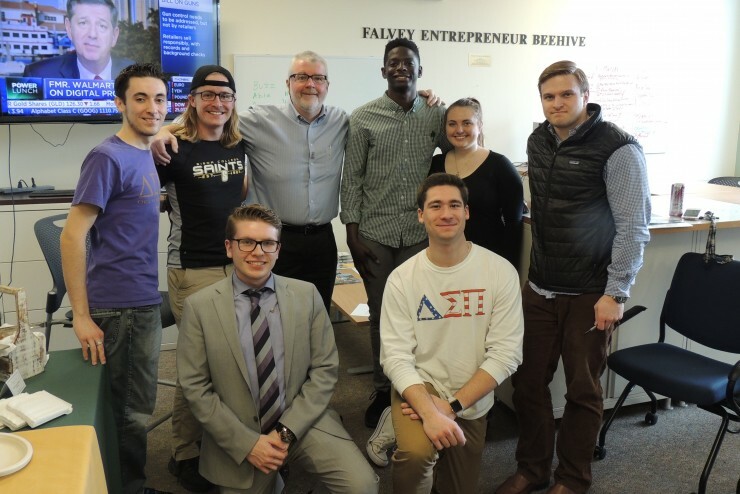 The Center also seeks to highlight entrepreneurial-minded alumni who have successfully launched their own businesses to inspire the Center's current students. To that end, we are accepting nominations for the Maddalone Wall of Success and Entrepreneur of the Year Award. 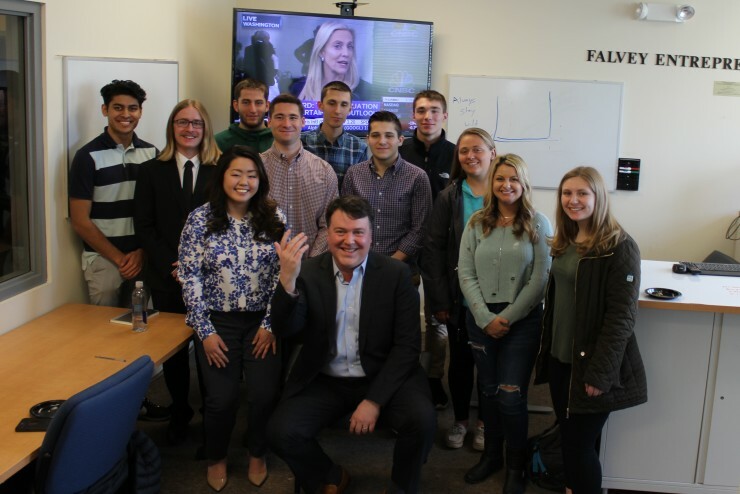 The managing director at Harvest Volatility Management met with students and faculty on April 20, 2018. 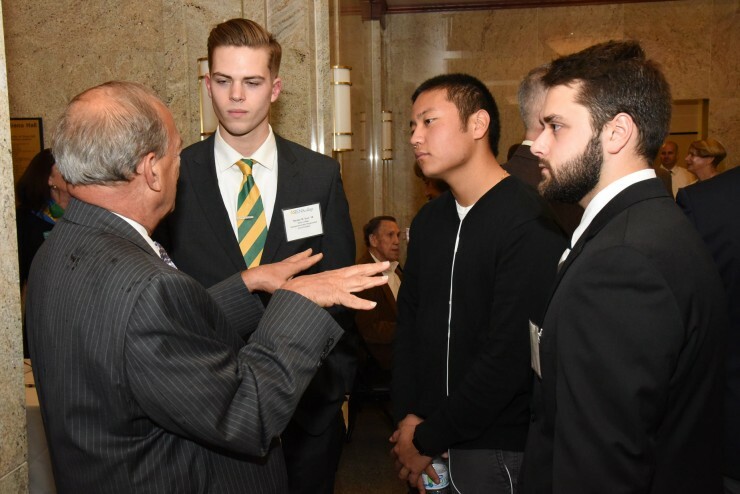 He discussed being watchful and mindful of the ever-changing business environment and being prepared to make the changes necessary for your career and your business. 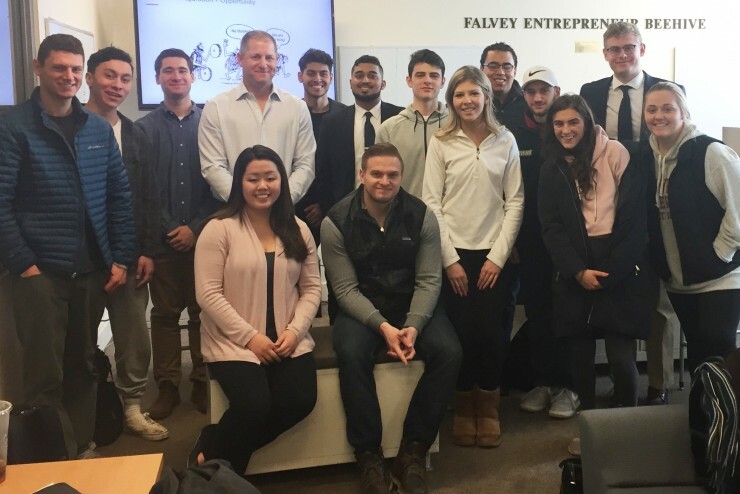 The founder of Medx Ventures Group challenged us to think outside of the box and to recognize that we all can be an entrepreneurs on March 21, 2018 . He bought a strong message on the importance of building a team with a diversity of thought and talent. 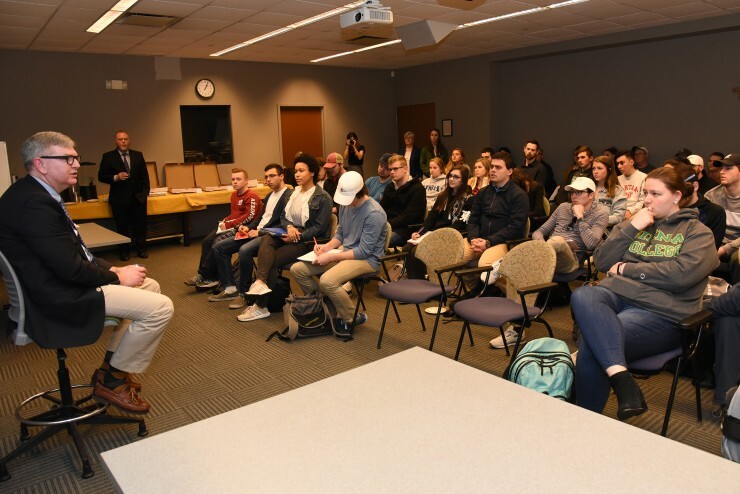 The founder of Bender Lane Advisory addressed students on February 28, 2018 concerning the importance of recognizing and reacting positively to opportunities, and holding true to our core values and principles as we build and grow our businesses. 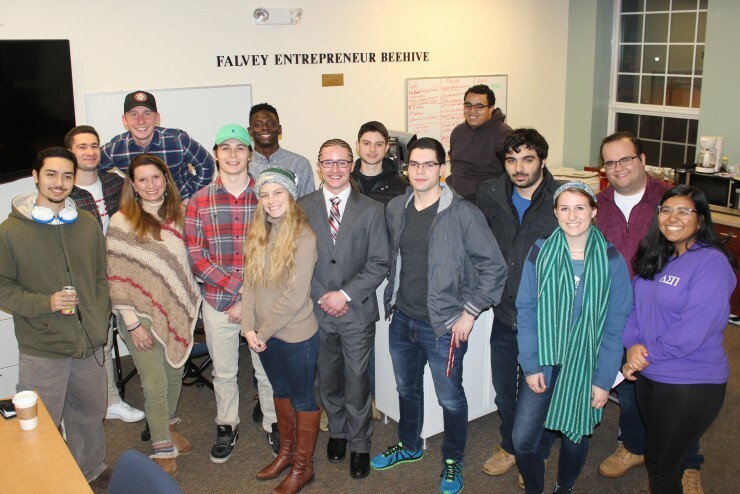 The founder of the proxy solicitation/shareholder company, Regan & Associates talked with students on February 20, 2018 about the characteristics and qualities to seek when working with investors and building a board of directors. 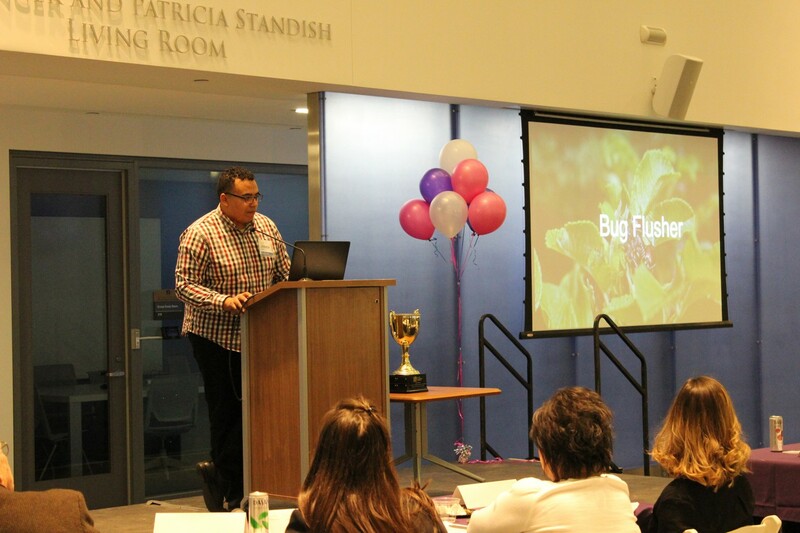 The founder of Thistle Farms met with entrepreneur students in the Stack Center on February 8, 2018. 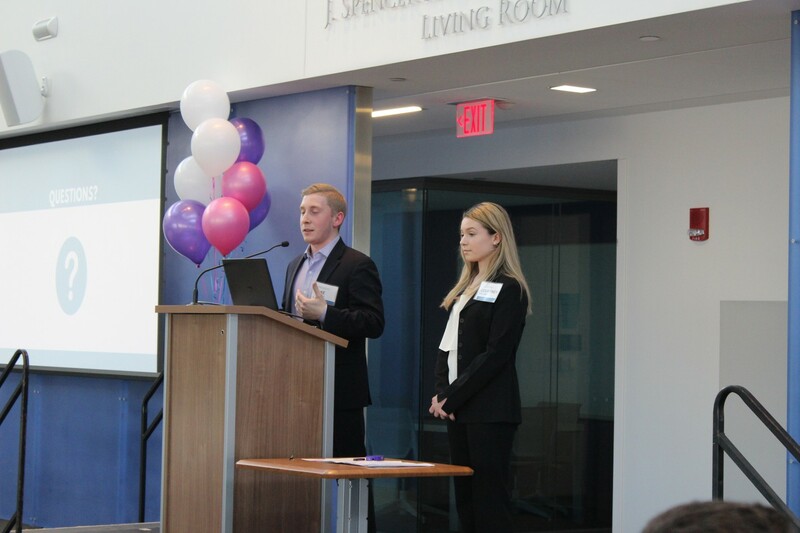 Her powerful message of promoting social justice through entrepreneurship resonated with all. 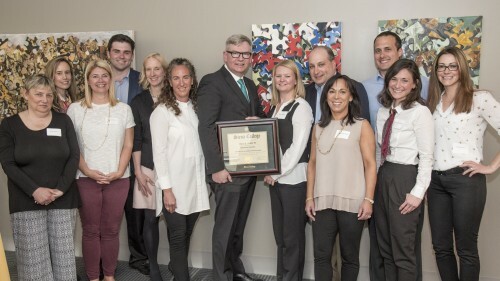 The Stack Center also co-sponsored a campus-wide event featuring Ms. Stevens later that evening. 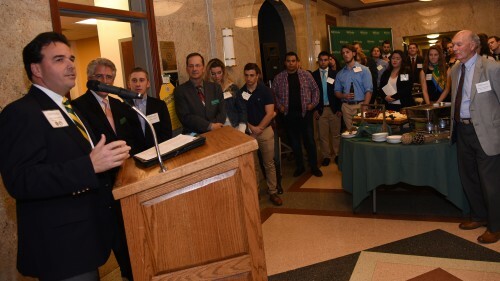 Five student teams presented their business ideas in the Entrepreneurship Track of the Siena College Ted Winnowski ‘63 Student Conference in Business. Taurus Ready Heaters with authors Nicholas Darling and Christian Zownir took the “Best Investment Award.” Above Simon Bruno and Sureet Pabbi address the conference. 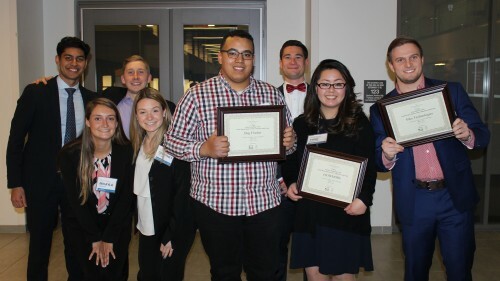 Siena sent six teams of student entrepreneurs to the Regional New York State Business Plan Competition on April 5, 2018. Three of Siena’s teams advanced to the NYSBPC Finals. 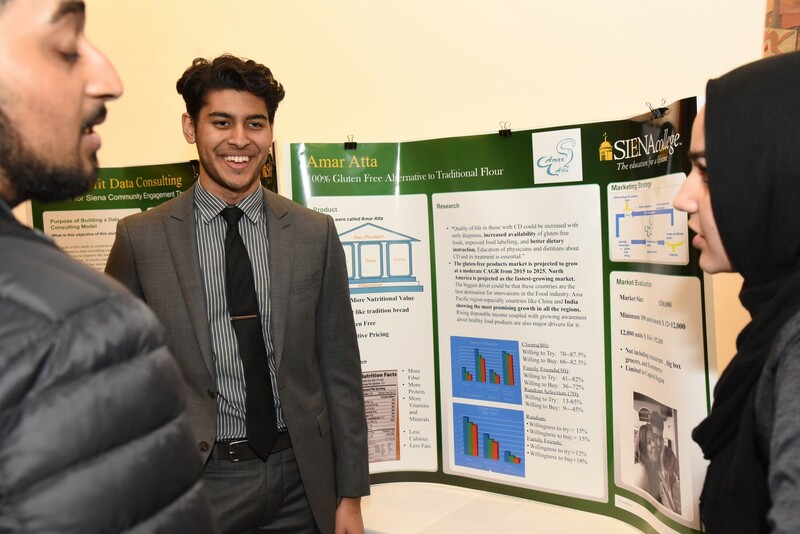 Joshua Daly with Bug Flusher place second in the Energy and Sustainability Track of the NYSBD 2018 Finals. 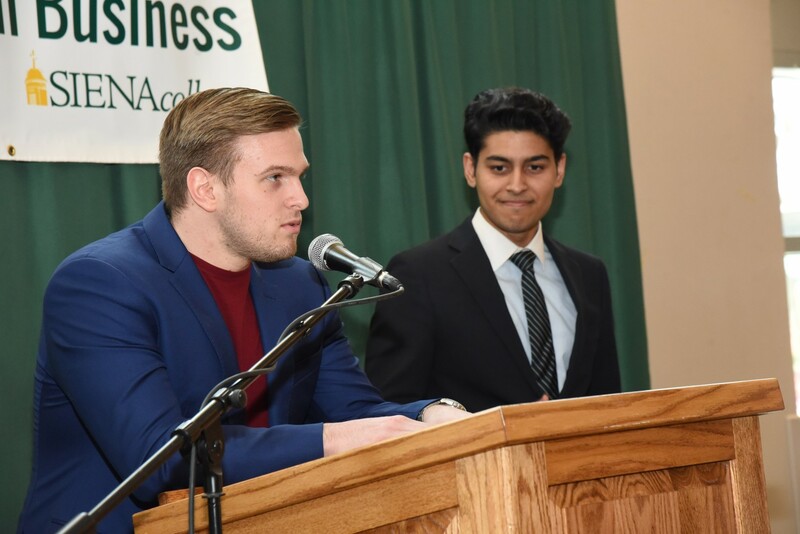 Entrepreneurship Club President Sureet Pabbi participated in the April 27, 2018 Celebration of Academic Excellence. His business idea, Amar Atta, is a 100% gluten free chapati flour designed to provide a new healthier alternative to flour in Indian cuisine. 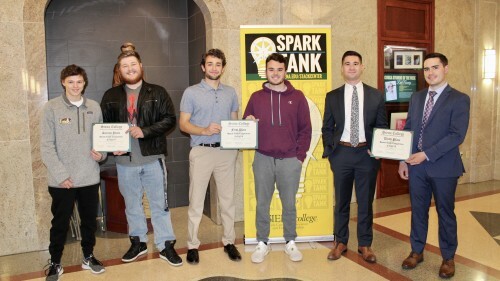 Sureet won second place in the Stack Center’s Spring 2018 Spark Tank competition with this idea. 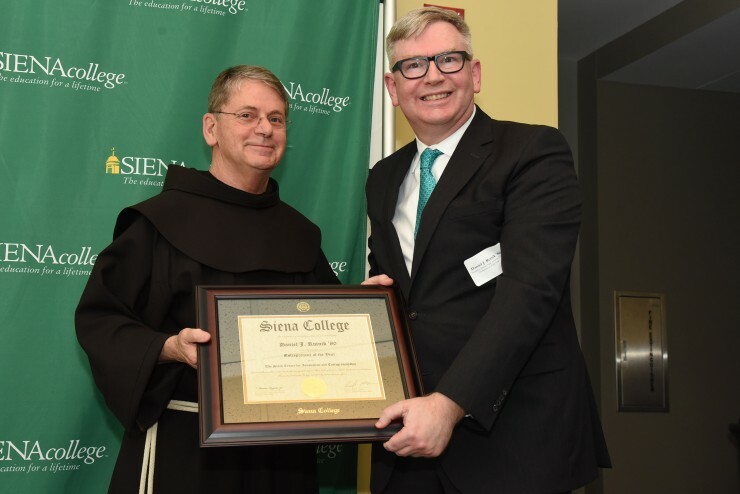 This award recognizes a Siena graduate who has excelled as an entrepreneur, positively impacted his or her community, and is driven by the entrepreneurial spirit and values of Siena College. 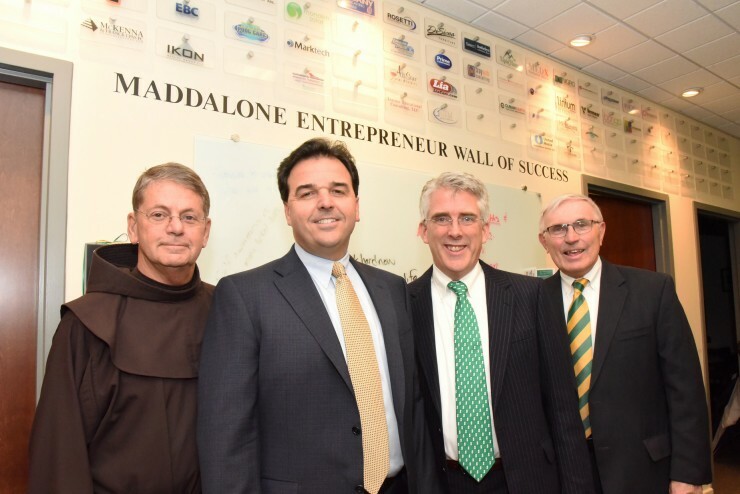 Our Maddalone Wall of Success displays the logos of companies launched by Siena graduates to inspire students by letting them know that they can follow in the footsteps of those who have gone before them. 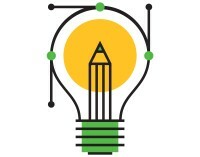 Spark Tank is an idea contest that challenges Saints of all majors to pitch their ideas to a panel of professionals. 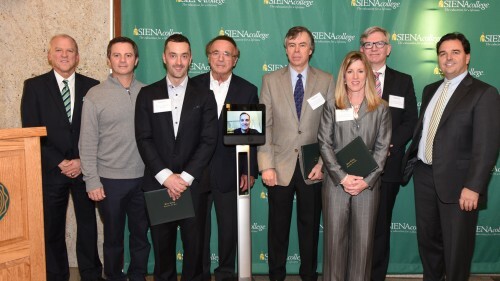 Siena entrepreneurs are volunteer their time as an Entrepreneur in Residence (EIR). 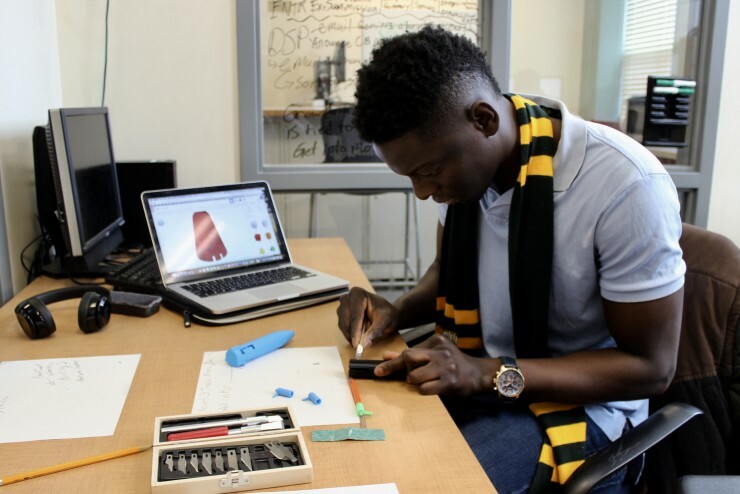 They work with new startups and innovators inside Siena to develop their idea into a sustainable business.